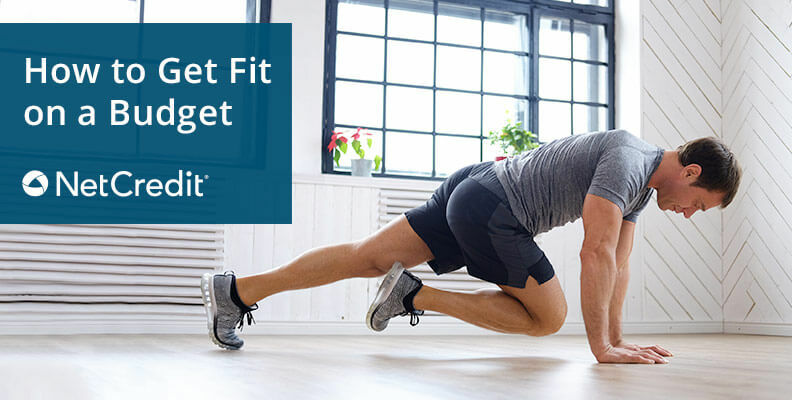 Advertising campaigns may make it seem like pricey gym memberships, costly meal subscriptions and name-brand workout clothes are the keys to getting in shape, but there are cheaper (and better) ways to help you meet your goals. Whether you are dusting off your running shoes or regularly participate in 5Ks, there are many creative ways to hit your goals while keeping the budget low. Here our some of our favorite methods for getting fit without your bank account taking a hit! When someone mentions workout DVDs, you may picture a grainy 1980’s video with a familiar actor decked out in head-to-toe spandex. Fortunately for the budget gym-rat, workout DVDs have come a long way since then. Top trainers like Jillian Michaels, Tracy Anderson and Michael Olajide have recorded great workouts to fit anyone’s preferred exercise style. Benefit Rent workout DVDs and try a wide variety at no cost to you. DVDs delivered right to your door so you have no excuse to skip a workout! Available wherever you go, so you don’t have to skip a day if you travel. If you’re struggling to put together a well-rounded workout plan for yourself, try a workout app. Many apps are available for free and provide a few great workouts to get you started. If you need to switch things up a bit, other apps offer a monthly subscription that provides you with fresh and exciting workouts on a regular basis to keep things interesting and improve your motivation. Check out one of these great apps to get you started. Benefit If you constantly find yourself saying that you don’t have time for a workout, this app is for you. With five- and seven-minute workouts, you can skip the excuses. Stretch and strengthen at home with Daily Yoga, an app with more than 50 HD-quality videos. Get the balance you need, no matter where you go. Don’t have equipment? No problem. Freeletics is filled with challenging bodyweight workouts that range from 10 – 30 minutes. You don’t need a bulky treadmill or heavy stacks of weights taking up room in your home to get the great workout you want. There are several budget items you can purchase to step up your intensity. If you are looking to buy some bigger-ticket items, consider checking out Play It Again Sports or other sporting goods stores that specialize in lightly used athletic equipment. They carry popular brands at a steep discount. If you want to spend even less, browse the Freecycle Network to see if you can get items for free. Benefit If you want to strength train in your home but without investing in weights, resistance bands are a great place to start. They’re very versatile and a great way to compound weight for an even deeper burn. There’s a reason the jump rope is a favorite among boxers and other athletes. Jump ropes are perfect for high-intensity interval training and getting your heart rate up between sets. Yoga, abdominal work, stretching, strength training and more — stability balls are some of the most adaptable tools in your home workout arsenal. Stability exercises are great for core work and building other stabilizer muscles. Your workout plan is only a fraction of what makes up a healthy routine. If you’re really looking to get fit, you’ll need to take a serious look at your diet too. Making the change is going to take discipline and preparation, but it doesn’t take a big budget. Many people make the mistake of believing they need to subscribe to some sophisticated diet plan that’s endorsed by a celebrity to truly hit their goals. The problem with many of those plans is their inability to be sustained over long periods of time. Short-term diets are proven time and time again to be a waste of time. Weight loss is much more successful when you make positive, healthy changes that can be maintained. So skip the expensive fad diets, juice cleanses and supplements — you can get all the nutrients you need from your food. The first step to any well balanced diet is planning. When you don’t plan ahead, it’s easy to just grab whatever is most convenient for you, even if it’s not the healthiest choice. Instead, use these great apps to help you plan ahead and avoid extra calories and over spending. Benefit If you’re strapped for time, Mealime is a great all-in-one tool. You’ll get new menus every week and a shopping list that covers everything you’ll need. Vegetarian? Allergies? No worries — you can customize your settings based on your dietary restrictions. This app is one of the most downloaded fitness apps for a reason. MyFitnessPal is an easy-to-use calorie tracker. You can set your weight loss or gain goals, and it will calibrate your calorie goal for best results. Additionally, you can look up dishes at popular restaurants when you don’t know. Use it to plan ahead and motivate yourself not to give in to random temptations. Do you really know what’s in your food? Fooducate is here to make those complicated ingredient lists easier to understand. Use the app when grocery shopping to scan your potential snack and see how good (or bad) that food is for you. Fooducate judges things like preservatives, high levels of sodium, additives and more. Use it to make smart choices and cut out unnecessary purchases that are counterproductive to your goals.